Look at this companionable couple: “Allies”. F.D. 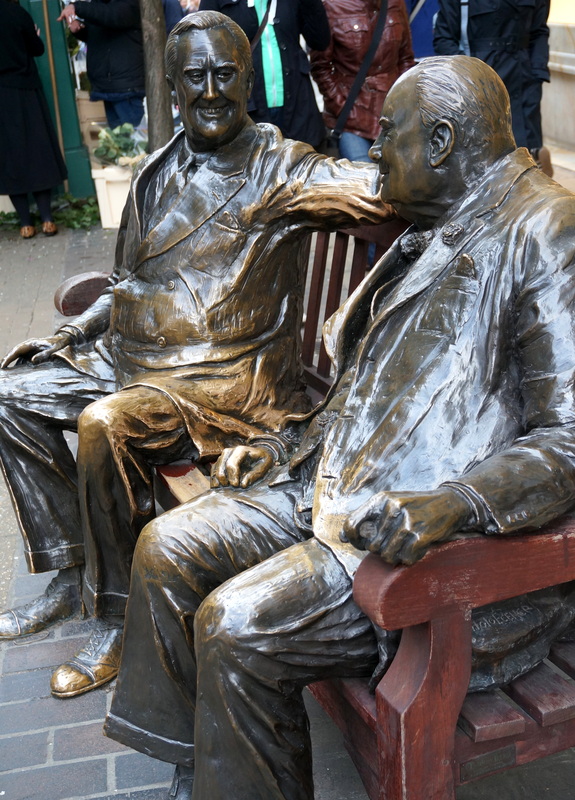 Roosevelt and Churchill sit chatting on a bench in Bond Street, London in Lawrence Holofcener’s 1995 bronze sculpture, erected to mark 50 years of peace. 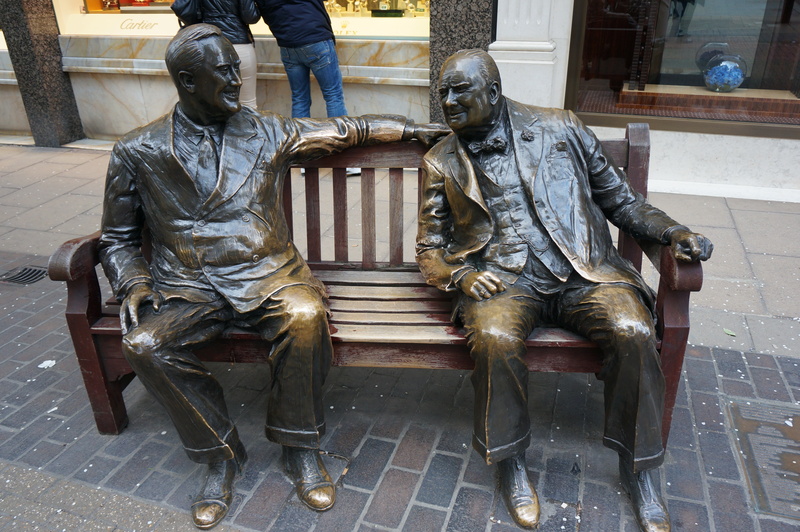 They say three’s a crowd, but this statue is just made for three! Roll up and take a seat between the two companions for a great photo opportunity. Posted as part of the WordPress Weekly Photo Challenge: Companionable and Ailsa’s Weekly Travel Theme: Scuplture. I am so sorry I have missed it :(. And I recognise Roosevelt on the first photo. These captures are fantastic, Debbie. Thank you for the link. Like Debbie, I’ll be looking for this the next time I’m in London. Very touching. Pingback: Weekly Photo Challenge: Companiable (Shoes) | What's (in) the picture? Oh I have to check this out the next time I’m in London! you need to enter/link that to the Where’s My Backpack theme this week – sculpture! Oh yes, I’m working on another for that challenge, but yes, I’ll link this too.